As some of you may know by now a "toad" is a euphemism for a "towed vehicle". For RVers with motorhomes a toad is usually the car brought along to provide quick transportation to shopping and attractions near a campground because the motorhome is so big it would be inconvenient to use it to run errands. Our toad is a red Jeep Wrangler we call Hope. We tow her directly behind the motorhome with all 4 wheels on the ground. While in Carlisle an RVer parked his motorhome near us and unloaded this antique toad from an enclosed trailer. Really pretty vehicle to run to the grocery, don't you think? 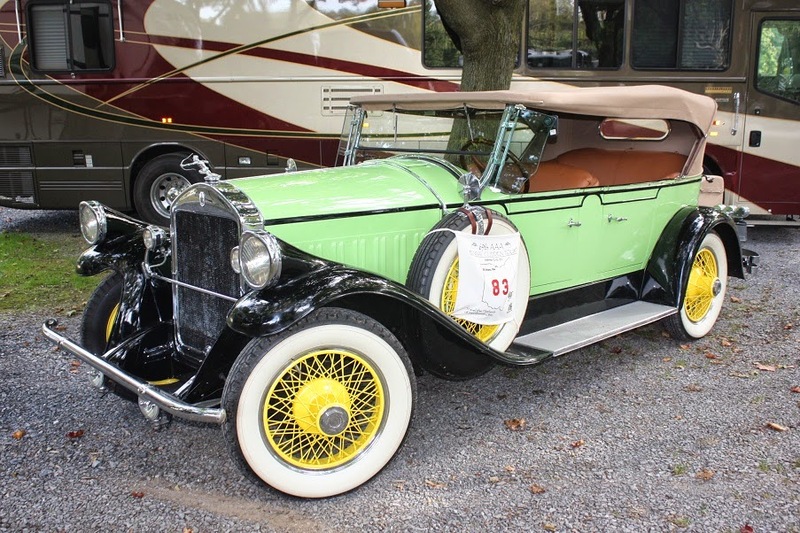 The owners show her at antique car shows around the country. They live in south Georgia, had just come from a show in Ohio and will head back to Georgia after a show in Carlisle. 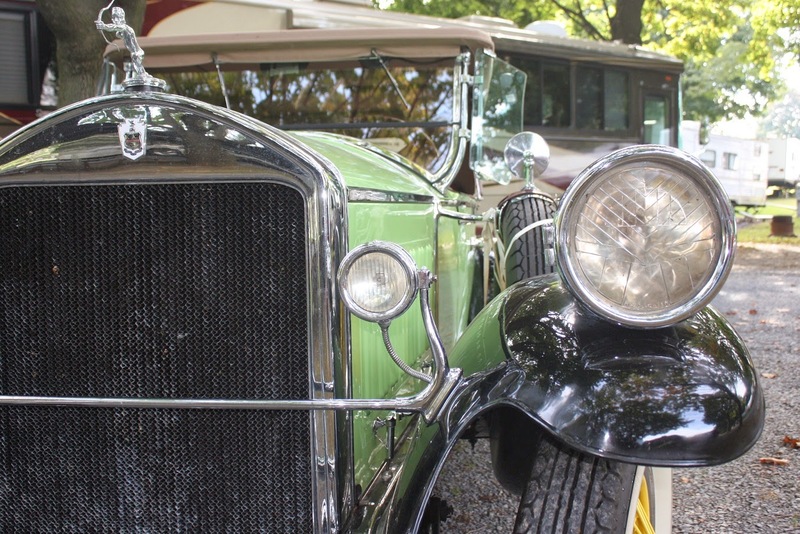 Thought you might like to see a beautiful Pierce Arrow in pristine, running condition. Transportation was a lot more colorful in those days. Notice that the main gauge is a clock. 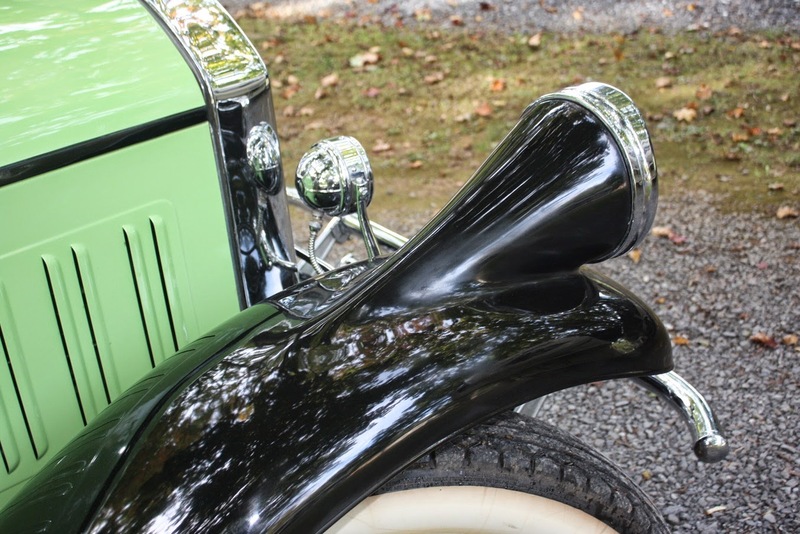 The first motor vehicles did not have speedometers because there were no laws regulating automobiles and motorcycles. 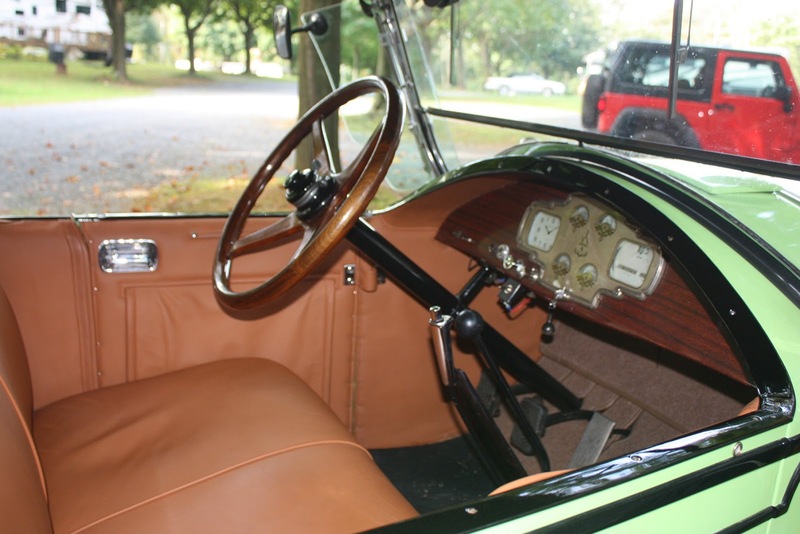 Speedometers were sold as an "accessory" so most cars didn't have them. Laws regulating speed did not become widespread until the late 1920's.